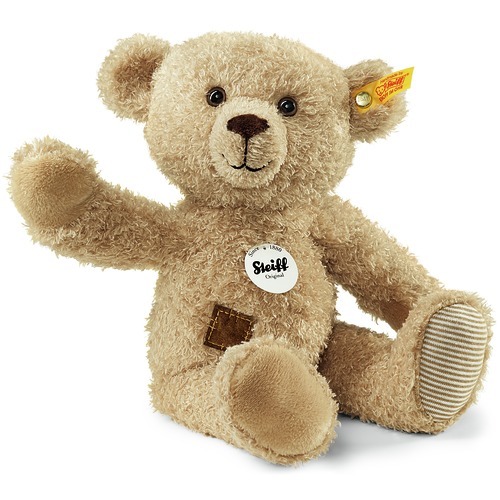 Sunny is made out of soft brown plush. He is filled with synthetic filling material. 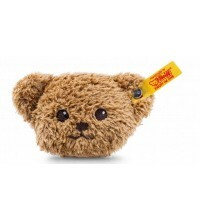 Sunny has a plush nose and safety eyes. Sunny has a stainless steel button in his left ear. 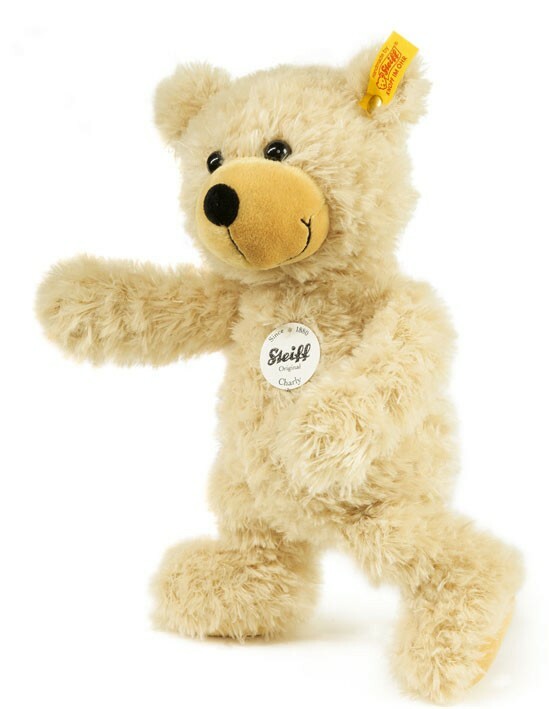 Sunny is made out of soft white plush. She is filled with synthetic filling material. 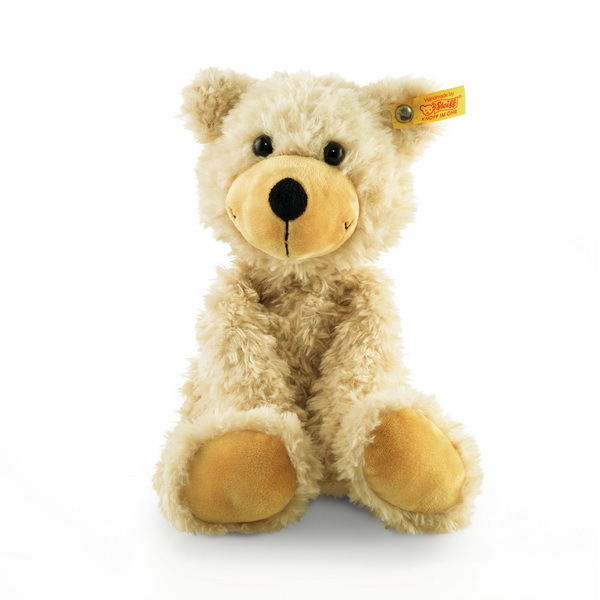 Sunny has a plush nose and safety eyes. She is machine washable at 30° C and has the CE mark for safe toys. Sunny has a stainless steel button in her left ear. 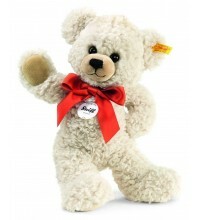 Steiff EAN 109928 Lommy Teddy bear, 25cm. 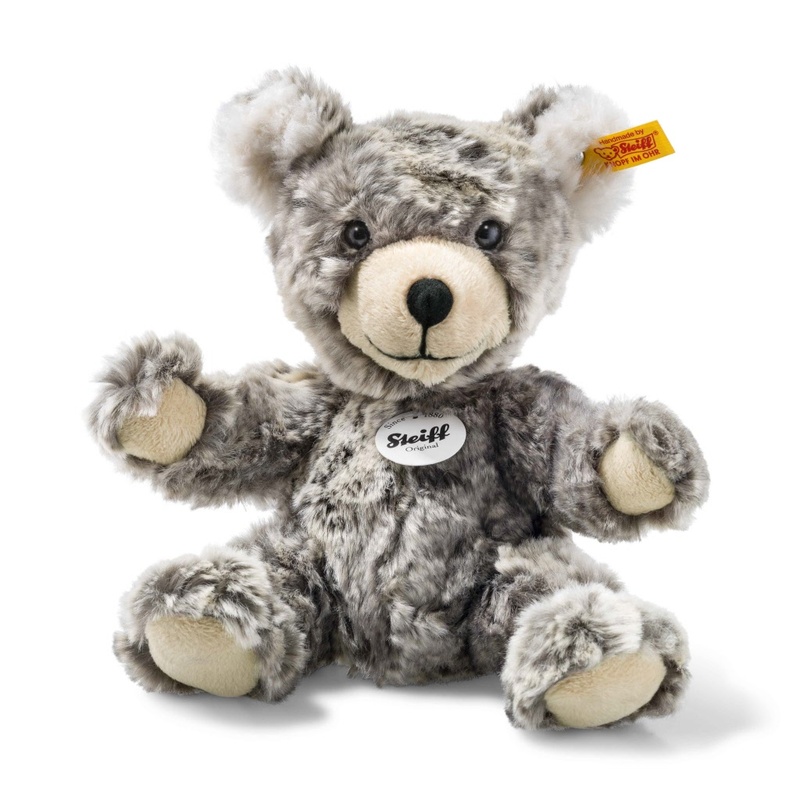 Lommy is made out of soft grey plush. He is filled with synthetic filling material. Lommy has a plush nose and safety eyes. Lommy has a stainless steel button in his left ear. 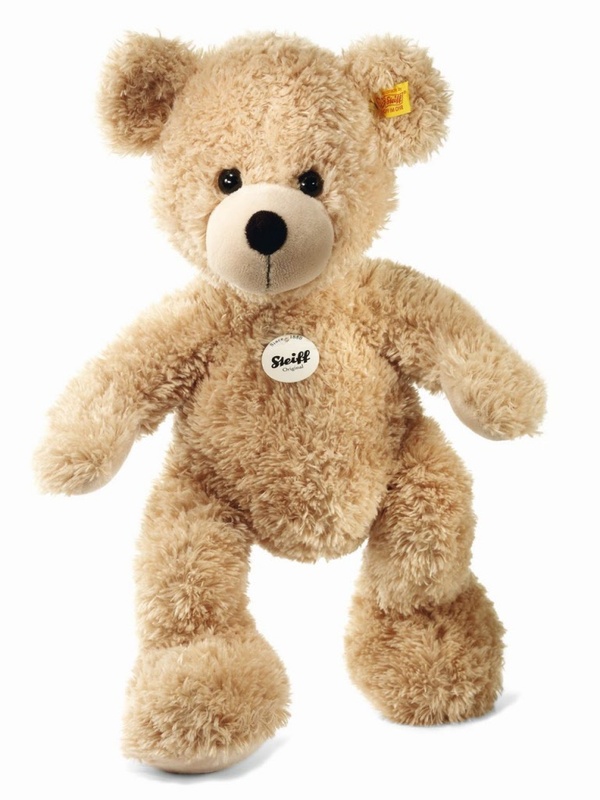 Ben Teddy big head is made out of soft creme and white plush. He is filled with synthetic filling material. Ben has a plush nose and safety eyes. Ben has a stainless steel button in his left ear. 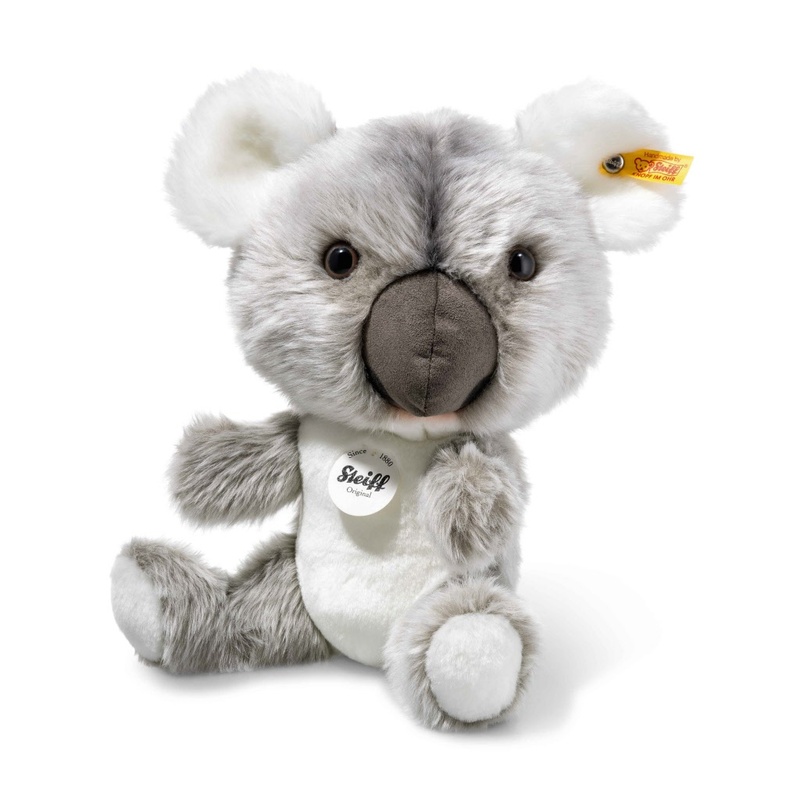 Jan Koala big head is made out of soft grey and white plush. He is filled with synthetic filling material. Jan has a plush nose and safety eyes. Jan has a stainless steel button in his left ear. Tom Panda big head is made out of soft black and white plush. He is filled with synthetic filling material. Tom has a plush nose and safety eyes. Tom has a stainless steel button in his left ear. 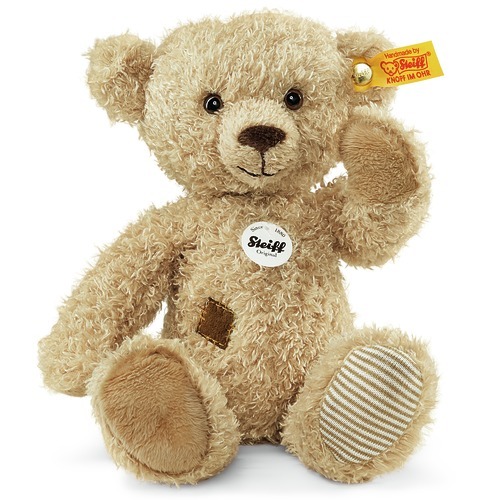 Steiff EAN 109201 Magnetic teddy, 6cm. 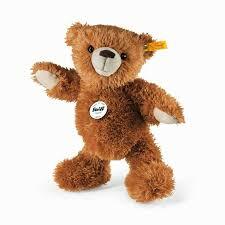 The brown magnetic bear from the new Magnetic Animals series is 6 cm tall and is made of cuddly soft plush. 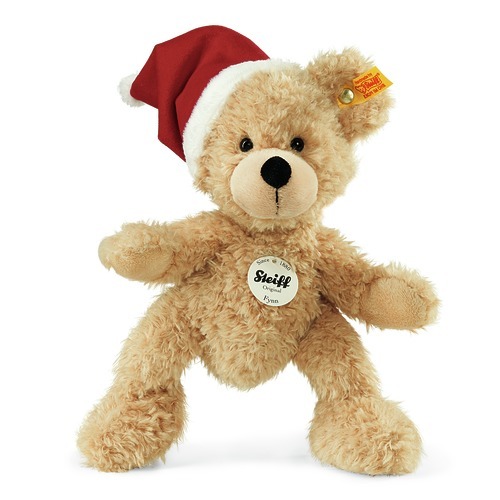 The integrated magnets help the bear to stick to any surface, to the fridge door or your child's magnetic pin board. This very personal magnetic pin for your child is not only a practical home aid, it is also a great gift idea for pinning the invitation to the next children's birthday party or as a small present on any occasion. 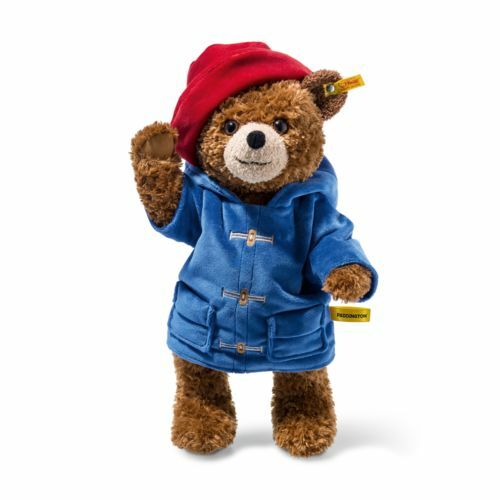 It has embroidered eyes and nose and is machine washable at 30° C. It is with CE mark and stainless steel "Button in Ear"
Paddington TM Bear is only available in Belgium, Channel Islands, China, Ireland, Japan, Luxembourg, Netherlands and UK. 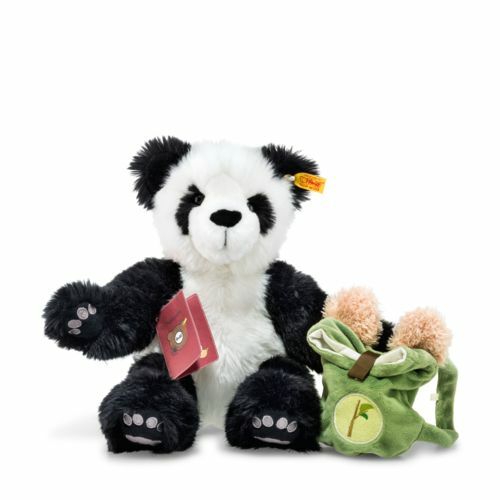 Around the world bears Lin the globetrotting Panda. 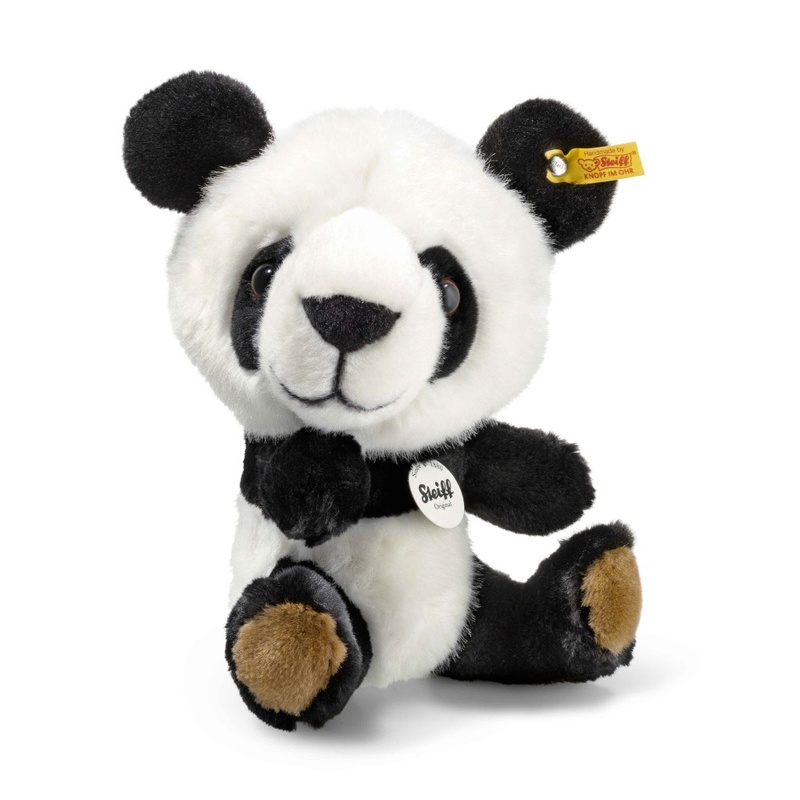 Lin is made of black and white cuddly soft plush. 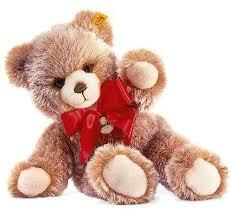 She has safety eyes and is stuffed with synthetic filling material. 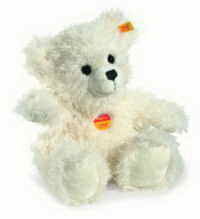 She is machine washable at 30° C and has the CE mark for safe toys. She has a stainless steel “Button in Ear”. She has a rucksack and her traveling papers. 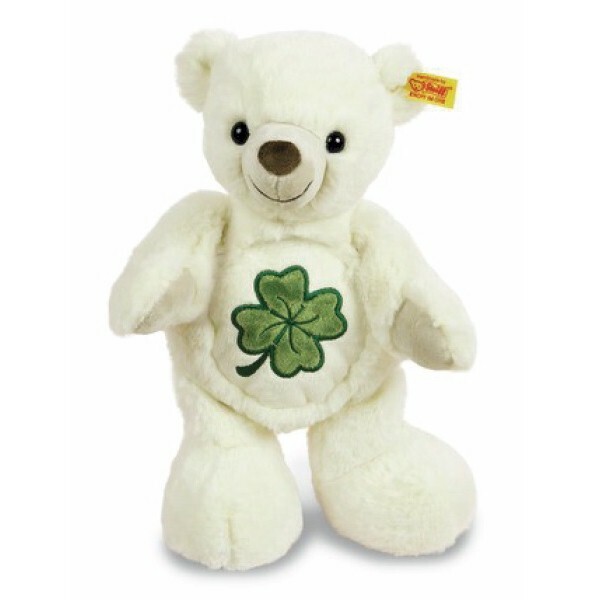 Steiff EAN 116001 Charly teddy heat cushion, 28cm. 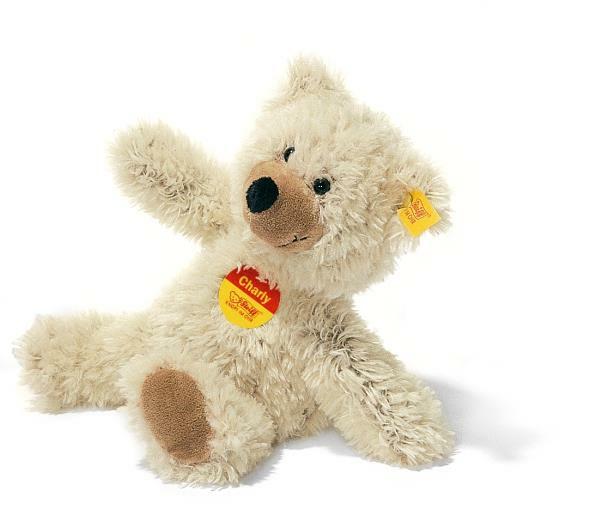 Charly with heat cushion is made out of super soft beige plush. 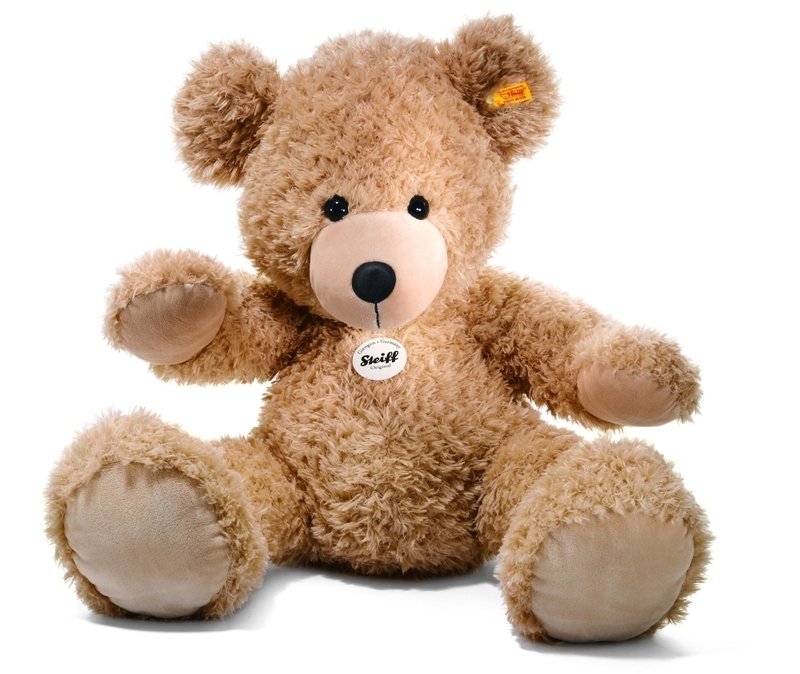 Charly has a black plush nose and black safety eyes.This Teddy is stuffed with synthetic material.This Steiff animal is machine washable at 30° C and perfectly safe for your child. The heat cushion can be removed before washing and for heating. 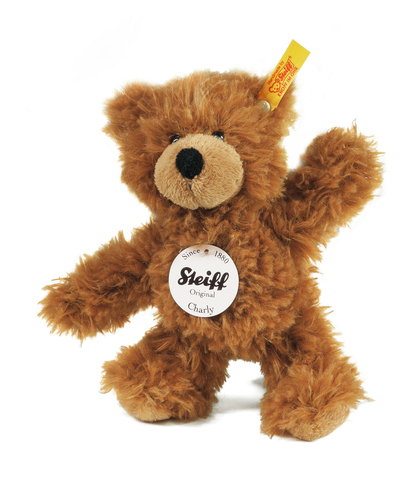 Steiff Charly has a gold button in his left ear. 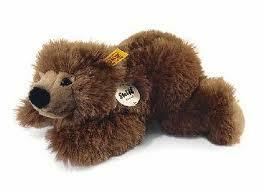 Steiff EAN 110795 Fynn teddybear, 24cm. 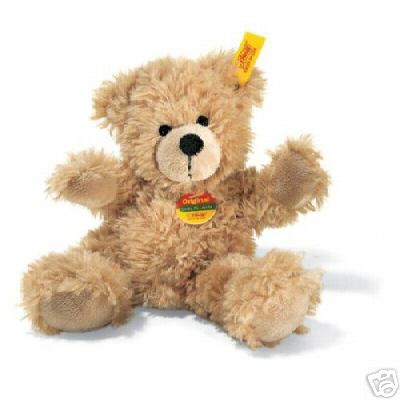 Steiff Teddy Fynn is 23 cm. 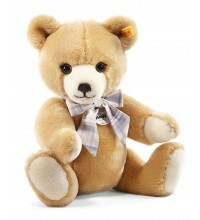 / 9.2" tall.He is made out of soft beige plush, has a plush nose and safety eyes. 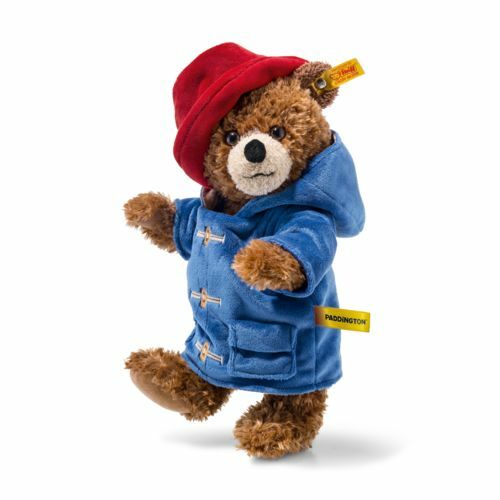 This Steiff teddy is stuffed with synthetic material and is wearing a red cap. 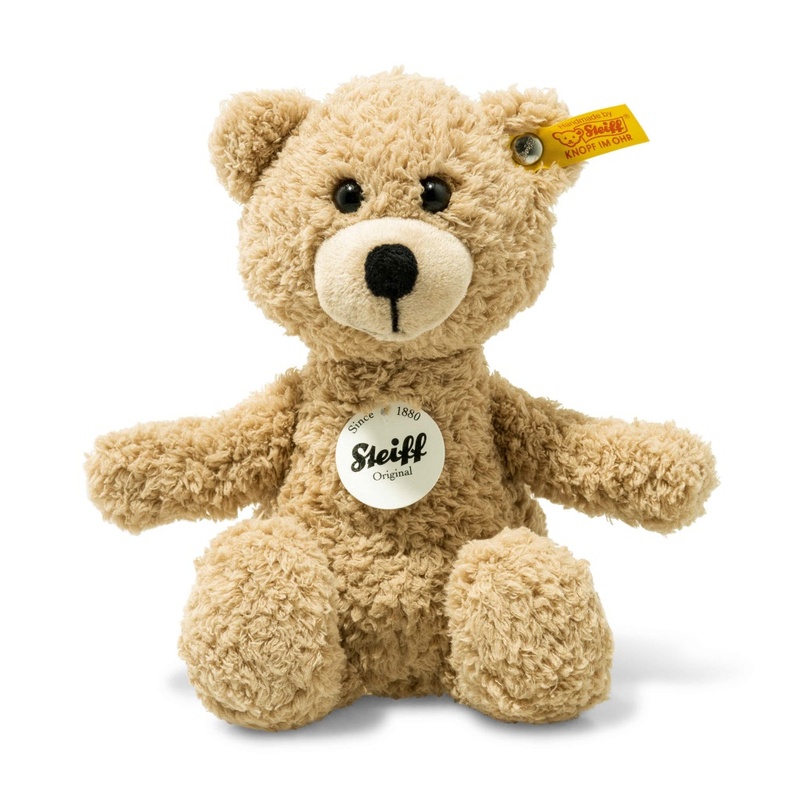 A Steiff plush toy is machine washable at 30° C and perfectly safe for your child. Fynn has a gold plated button in his left ear.